It looks like Pittsburgh is headed in a great direction this coming year ! MSN has chosen 15 cities in the US that they predict will be the hottest cities in 2015 – Pittsburgh made the list! They chose the top cities based on job growth, population growth, affordability, livability, and the health and well-being of their residents. According to MSN, Pittsburgh has the booming oil and gas industry to thank for its increase in attractiveness for well-educated engineers. 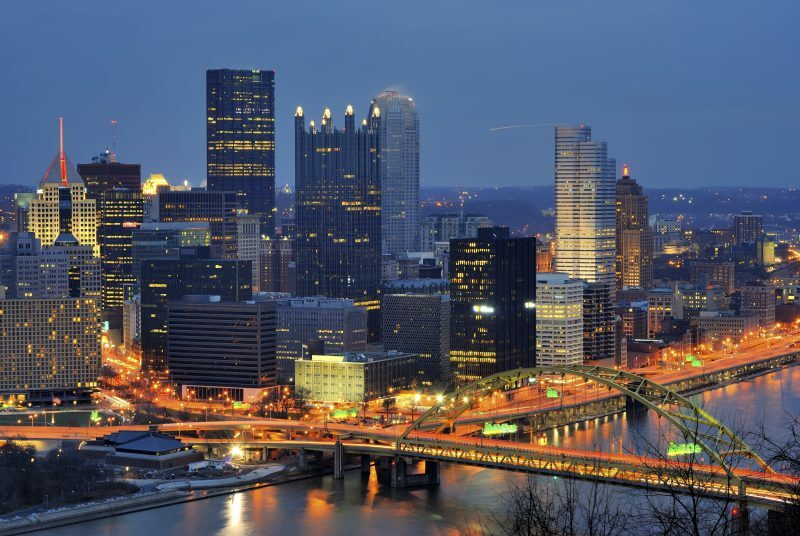 Relatively unaffected by the recession, Pittsburgh real estate is expected to develop in 2015 as well. Adding to its rising affluence and evident hotness, the city was recently named one of Rockefeller’s Resilient Cities! This means the city was selected based on its ideas of physical, social and economic resilience, to receive financing for a Chief Resilience Officer who will address various city-wide challenges. Pittsburgh will also be receiving any technical assistance that it needs to plan and implement its resilience strategies. This designation highlights Pittsburgh in a wonderful way, acknowledging the excellent work its government and citizens have done while encouraging further growth and improvement. In the past week, Zillow Inc. has twice highlighted Pittsburgh as a city where home ownership is expected to thrive in 2015. According to new research done by this real estate website, “Pittsburgh is expected to be the best market in the country for first-time homebuyers” (PBT, 12/2). This research is based on a formula that takes income growth, home prices and home availability into account. The real estate industry as a whole is anticipated to prosper in the coming year due to an increase in rental costs compared to home values. Millennials, those under the age of 35, are nearing the time when they will start getting married and having children, which will more than likely cause a surge of home purchases. This generation is “to become the largest age group of homebuyers by the end of the year (2015)” (PBT, 12/2). Besides an influx of first-time homebuyers in the Pittsburgh area, an increase in rental costs compared to mortgage payments is also adding to the home ownership push seen in the city. Zillow Inc. surveyed Pittsburgh residents to determine their mortgage payments compared to potential rent payments. The survey results concluded that “residents’ percentage of income devoted to mortgage payments is less expensive than the amount that would be set aside for renting a place to live” (PBT, 12/10). That being said, most Millennials assume they cannot afford to buy a home of their own, so they settle on paying rent. As the 4th largest home seller in the United States,* Howard Hanna is excited to take on the challenge of changing that perception about home ownership, especially among the younger generations. In order to make Pittsburgh, and cities like it, places of growth for first-time homebuyers, our company needs to do an excellent job of accurately and positively promoting home ownership. We look to 2015 as a year of growth and expansion within a rising demographic! *REAL Trends 500, ranked by closed transactions sides for 2013, REAL Trends Magazine, May 2014.